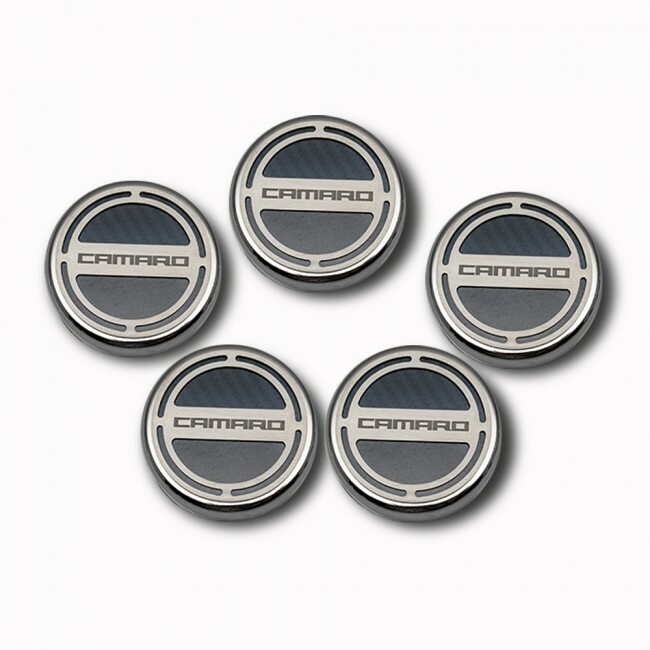 Camaro V6 Caps - Will not fit the V8 model. 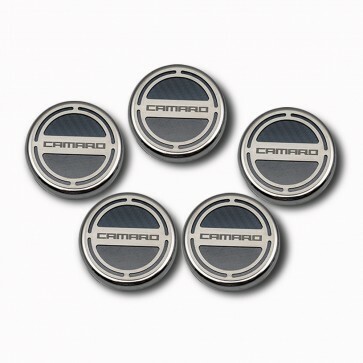 These chrome caps feature high-performance vinyl carbon fiber inlays and etched "Camaro" brushed stainless steel tops. They easily install over your factory fluid caps with industrial strength Velcro® cookies which are included. This set includes covers for your oil, water, brake, power steering and windshield washer factory caps. Fits all 2010-2014 V6 Camaro Models.